I love how colorful both of the first two are. I love the white background, to me that makes it more flexible and would look good anywhere in any room. 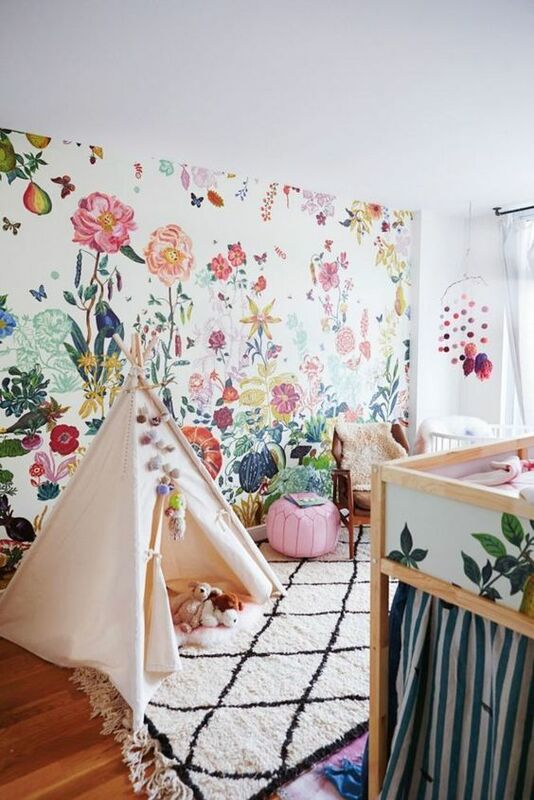 Not only did they put the wall paper on the wall in the first picture, but they also put some on the crib... Love that idea to update something you already have that doesn't exactly 'go' anymore. I'm especially loving the second picture how the whole room is white and you have the subtle pops of color in the wallpaper. IN LOVE! 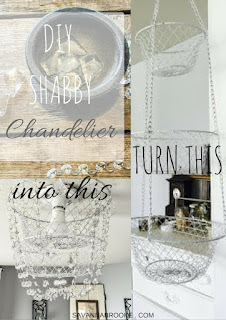 This third picture is actually what inspired my master bedroom makeover. You can see my bedroom HERE. 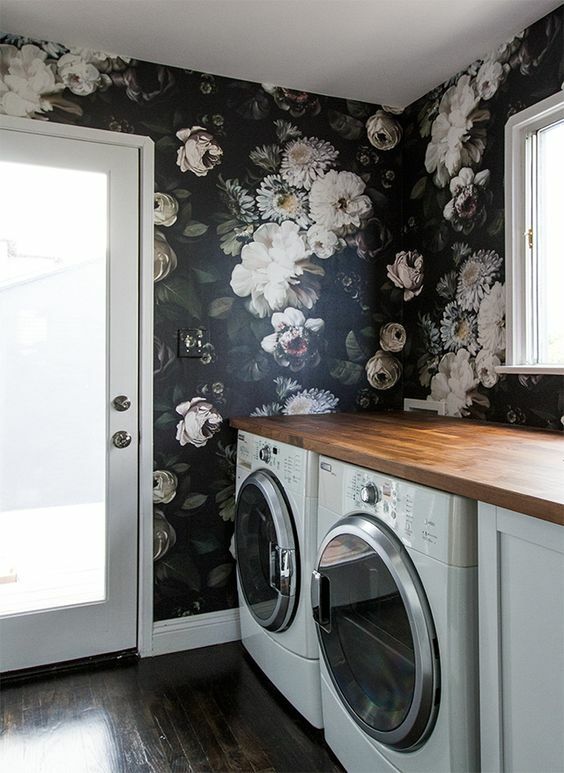 I know, a laundry room inspired my bedroom makeover? Just the wall paper did. I wanted moody and dark and feminine and originally wanted to purchase this wallpaper but saw the price tag and decided against it. But it still inspired a lot of my room makeover. 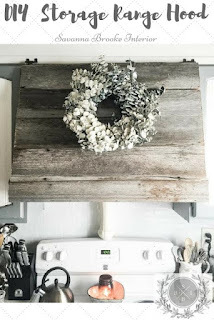 These next two are fun ways to add wall paper to things you normally wouldn't. 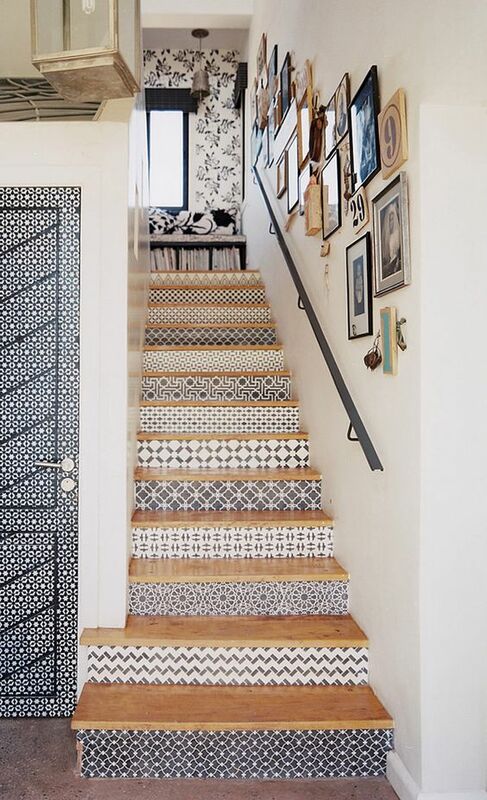 I love the use of it on the stairs and door in the above picture and I especially love how the switched the wallpaper and brick in the bottom picture. 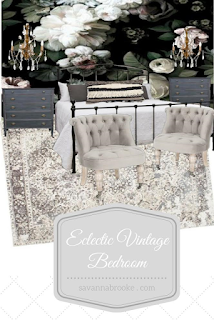 Super eclectic and fun! And these last three pictures are of my home where I have tried my hand at wallpaper. I love that you don't have to spend a lot on it to make a big statement. Also love that you can buy peel and stick wallpaper that can be taken down way easy... The top picture is of my living room and we used the stick on brick wallpaper from Target. I did a full review of it and told how I liked it HERE. The bottom picture is of my bathroom. 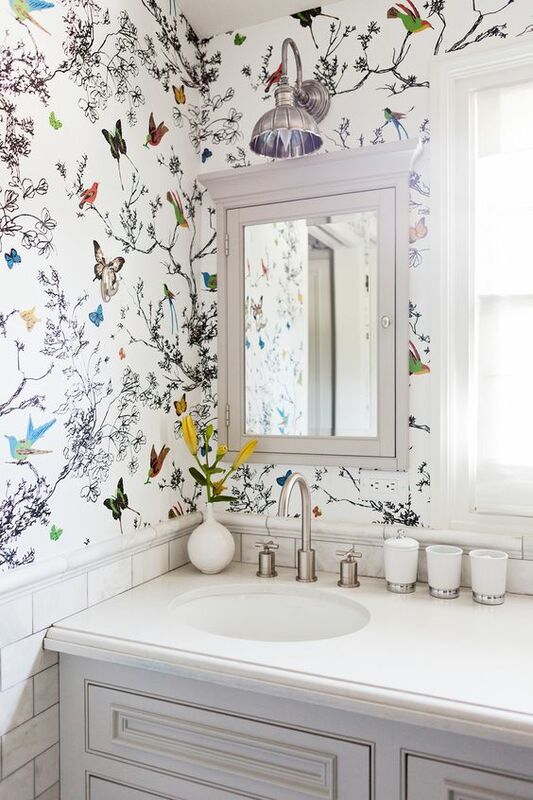 We added bead board wallpaper on the bottom half of this wall in our bathroom. We also added THIS bead board wallpaper to our kitchen cabinets to brighten them up and give some more texture. It was super easy and you can see how we did it HERE. Welp, that's it for my first Friday Feature! You can click on the pictures for the sources. What do you think of these? Do you want to see more? 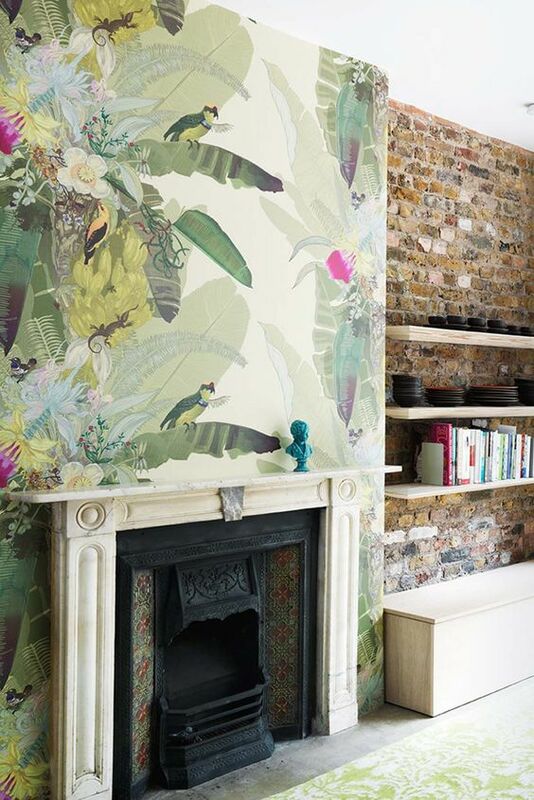 Do you love wallpaper right now as much as I do?? Let me know on Instagram and Facebook if you like this and want to see this every Friday. 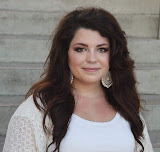 I'm wanting to incorporate posts that give you an idea of what inspires me on a daily basis and not just share my home. I hope you have a wonderful weekend! It's supposed to be almost 70 degrees here so I'm going to enjoy it. Have a good one, friends!